There's been a big push recently to enact a youth curfew in Oakland, but there's little evidence that they're effective; plus they waste police resources. Jamie Soja Oakland police may pay cops overtime to enforce a curfew. In the aftermath of the tragic daytime shooting of three-year-old Carlos Nava this summer, Oakland Councilmen Larry Reid and Ignacio De La Fuente renewed their call for a youth curfew in the city. Even though the suspects in Nava's killing are adults, the councilmen contend that Oakland police need as many law enforcement tools as possible to cope with this year's spike in violent crime. Their proposal, which would make it illegal for youth under the age of eighteen to be out past 10 p.m. without a parent or guardian, also has been endorsed recently by the Oakland Tribune editorial board, and has been pushed by Tribune columnist Tammerlin Drummond and San Francisco Chronicle columnist Chip Johnson. However, a closer look at youth curfews reveals that there's little evidence that they lower juvenile crime rates in other cities, and instead can waste precious police resources. Some civil rights and juvenile crime experts, including Alameda County Probation Chief David Muhammad, also say that youth curfews have the potential to damage already strained relationships between police and black and Latino youth, and if not implemented properly, can lead to racial profiling. In addition, curfews must be worded carefully, or they will be overturned by the courts as unconstitutional. The City of San Diego, for example, has twice had its youth curfew invalidated by appellate courts for violating young people's basic rights. Over the years, there have been very few studies on the effectiveness of youth curfews, even though hundreds of cities have adopted such laws. A February 2009 memo that the Oakland Police Department co-authored with Reid's office had to reach back to the early- and mid-1990s to find drops in juvenile crime in three cities with youth curfews — Dallas, Denver, and Long Beach. Each of those cities reported decreases in youth crime in the year immediately following the adoption of curfews. However, the OPD memo did not report whether those cities also experienced drops in adult crime during the same period, so it's unclear whether the curfews were actually responsible for declines in youth crime. According to Daniel Macallair, executive director of the Center on Juvenile and Criminal Justice in San Francisco, it's a common problem when examining curfews. His organization is one of the few to thoroughly analyze curfews. The 1999 study, published in Western Criminology Review, analyzed adult and juvenile crime statistics from 1980 to 1996 in California cities with youth curfews. It found that there was no correlation between youth curfews and crime by or against juveniles, even in cities that strictly enforced their curfew laws. Moreover, cities that experienced drops in juvenile crime after adopting curfews also saw similar declines in adult crime during the same time periods, meaning that the curfews were likely unrelated to the downward crime trends. In addition, cities with curfews that experienced juvenile crime drops typically were also surrounded by other cities that saw the same declines and had no curfew laws. "It's a common misconception," Macallair said, regarding the belief that curfews work. "According to the studies, there's just no relationship between youth curfews and crime reduction. None. Nothing demonstrates that curfews have had any impact on crime." In an interview, De La Fuente said he doesn't view curfews as a panacea. Instead, he said he sees them as another crime-fighting weapon that Oakland police need at their disposal. "No one is saying that curfews will stop crime by themselves," De La Fuente said. "But it's one of many things — like gang injunctions and monitoring parolees. We need to do something. We are in a crisis. People are dying." De La Fuente said he hopes to get the curfew proposal before the city council later this month. In early 2009, the last time he and Reid proposed a curfew, it failed to get out of the council's Public Safety Committee because of widespread opposition. But the proposal may have a better chance this time because the Nava killing, along with several other shocking murders this year, may galvanize support for it. But if there's little evidence that youth curfews work, are they worth it? Juvenile crime experts say that the problem with enforcing curfews is that it requires police officers to divert valuable time from crime prevention and patrol. If an officer, for example, comes across a teen who is out past 10 p.m., the officer is required to either take the kid home or to a late-night, police department-run youth center. According to the 2009 OPD memo, each such occurrence likely would take up to sixty minutes of the officer's time. And it could be much longer than that if the cop decides to arrest a repeat violator of the curfew ordinance. In that case, it could take several hours to fill out a police report, and then transfer the youth to Alameda County Juvenile Hall in San Leandro, where the youth likely will be released as soon as a parent or guardian comes to get him or her — unless the youth was also arrested for a more serious crime, noted Probation Chief Muhammad, whose department operates Juvenile Hall. Oakland police spokeswoman Holly Joshi said that Police Chief Anthony Batts, who has also pushed for a curfew, was out of town until September 12 and unavailable for an interview for this story. Batts' direct supervisor, City Administrator Deanna Santana, declined to comment on her experiences with curfews in San Jose when she was an assistant city manager there. Santana's current boss, Mayor Jean Quan, opposes curfews, and has been criticized by De La Fuente and the Chronicle's Chip Johnson for her stance. Joshi said that no other police department official was prepared to comment on the curfew idea because the department has not yet drafted an official proposal. In 2009, however, the department apparently realized the costs of enforcing a curfew and the headaches it would create for patrol officers. So the department proposed to enforce the curfew, if adopted, only twelve times a year during special police sweeps using off-duty cops who would be paid overtime. "OPD does not currently have the capacity to run daily operations," the 2009 memo explained. As a result, the department planned to deploy one sergeant at $81.62 an hour, and eight officers at $70.74 an hour during the seven-hour sweeps. The department estimated that the cost of twelve sweeps, along with operating late-night curfew centers, would be $75,290.36. It should be noted that at the time, the department had 800 cops, compared to about 650 now, and thus would likely propose sweeps again to enforce a curfew since it now has fewer officers on patrol and can't afford to divert them to arresting kids who are out late. The city's finances also have nosedived during the interim, so it's unclear how Oakland would pay for such sweeps today. Another flaw in the 2009 OPD proposal was that it failed to consider that youth are much more likely to commit crimes during the day or early evening. According to Macallair, crime statistics show that youths are most likely to commit crimes from 3 p.m. to 6 p.m., when they get out of school. According to the 2009 OPD memo, just 23 percent of youth crime occurs between 10 p.m. and 6 a.m., when a curfew would be in effect. By contrast, 77 percent of youth crime in Oakland occurs during the day or evening when there would be no curfew. Youth curfews also target the wrong people. According to the FBI, up to 90 percent of serious crimes in the United States are committed by adults each year. In addition, when juveniles break the law, it tends to be less serious. Muhammad noted that of 400 youths arrested on average each month in Alameda County, only 125 are brought to Juvenile Hall. The rest are released to their parents or guardians because the crimes the youths are suspected of committing aren't serious enough to warrant being locked up. In short, instituting a curfew in Oakland is unlikely to impact this year's rise in violent crime. 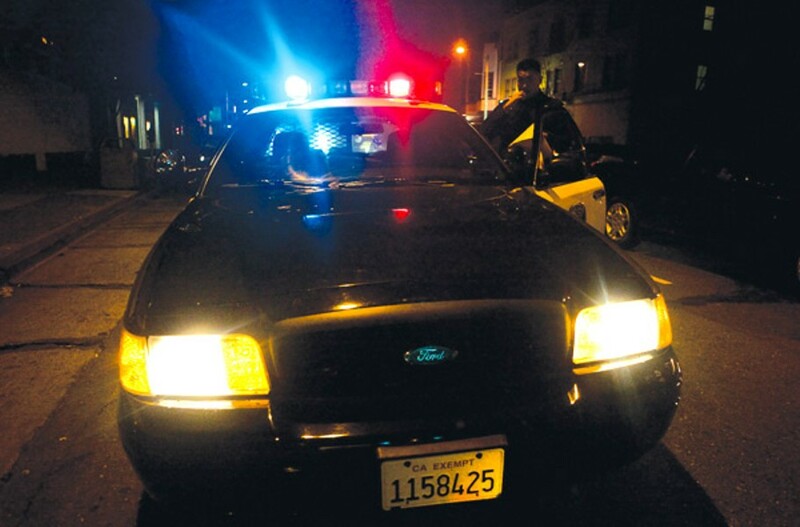 A curfew, if targeted mostly at youth in West and East Oakland, also runs the risk of further harming the already poor relationship that many youth of color in the city have with police. In the 2009 OPD memo, the department said it would train officers to not engage in racial profiling, but the memo also said that the sweeps would target "specific" areas "based on prevailing crime trends of juveniles as either victims or suspects." In other words: West and East Oakland. "They're not going to be doing this on Lakeshore [Avenue], stopping kids from Piedmont High; they're not going to be doing this in Rockridge, stopping kids from Berkeley High," noted Jim Chanin, an East Bay civil rights attorney. Some civil rights advocates also contend that curfews are actually designed not to get kids off the street at night, but to give police officers a legal reason to approach them, and then possibly arrest them for other minor offenses. "It's all about giving police probable cause to stop people," Chanin said. 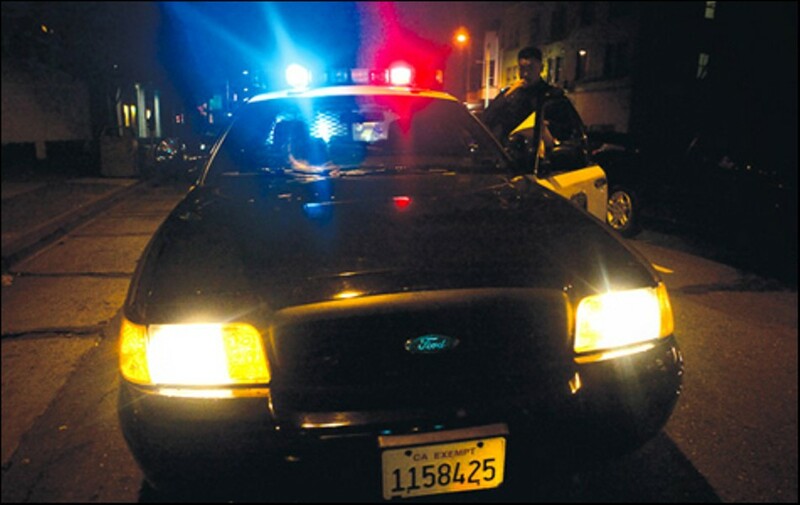 The 2009 OPD memo noted that even though the department only planned to enforce a curfew during special sweeps, individual officers were still free to enforce it on their own. Finally, there's the issue of whether curfews are constitutional. Over the past two decades, appellate courts throughout the nation have overturned youth curfews for violating the basic rights of young people. In February 2010, a state appellate court threw out San Diego's curfew ordinance for a second time, ruling that it was too broad and unlawfully infringed on the rights of youths to participate in legitimate, legal activities after 10 p.m. The San Diego City Council later rewrote its curfew law again in attempt to pass muster with the courts. So why do cities continue to turn to curfews when they present so many problems? Juvenile crime experts say it's somewhat common for politicians and pundits to push for curfews during violent crime waves. At such times, people desperately want to do something to stanch the bloodshed. And curfews, on the surface, seem like a logical answer. After all, who thinks kids should be out on the streets at all hours of the night? But from Muhammad's perspective, there are more effective ways to deal with juvenile crime. He said, for example, that if probation, parole, police, and school officials worked closely with crime-prevention groups they would be able to identify and target the relatively small number of young people who are committing most of the violent crime in the city — "without casting this broad net that ensnares people who shouldn't be."